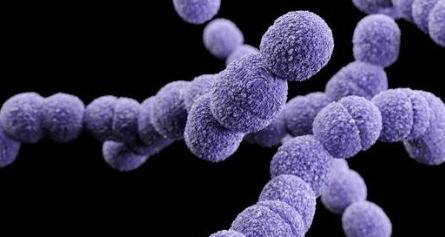 The group B Streptococcus (GBS) is a leading cause of neonatal invasive disease. GBS bacteria are surrounded by a thick capsular polysaccharide that is a potent inhibitor of complement deposition via the alternative pathway. Several of its surface molecules can however activate the classical and lectin complement pathways, rendering this species still vulnerable to phagocytic killing. In this study we have identified a novel secreted protein named complement interfering protein (CIP) that downregulates complement activation via the classical and lectin pathways, but not the alternative pathway. The CIP protein showed high affinity toward C4b and inhibited its interaction with C2, presumably preventing the formation of the C4bC2a convertase. Addition of recombinant CIP to GBS cip-negative bacteria resulted in decreased deposition of C3b on their surface and in diminished phagocytic killing in a whole-blood assay. Our data reveal a novel strategy exploited by GBS to counteract innate immunity and could be valuable for the development of anti-infective agents against this important pathogen.